How Much House Can You Get for Your Money in Arizona? Compared to other U.S. cities, Metro Phoenix is one of the most affordable places to live. In fact, website Realtor.com recently named Phoenix as one of the top 10 fastest-growing real estate markets in the nation for 2015. Cost of living, quality of life, employment opportunities, infrastructure, disaster-free climate, ethnic diversity, and opportunities for myriad types of outdoor recreation are among the reasons people from diverse backgrounds and income levels choose Arizona for their primary or second home. The same size and quality of home you might purchase in Los Angeles for $3 million will typically be priced at an average of $1 million in the Phoenix area. The added benefit is that homes in Arizona are likely to be newer. Different types of homes can be built in Arizona. 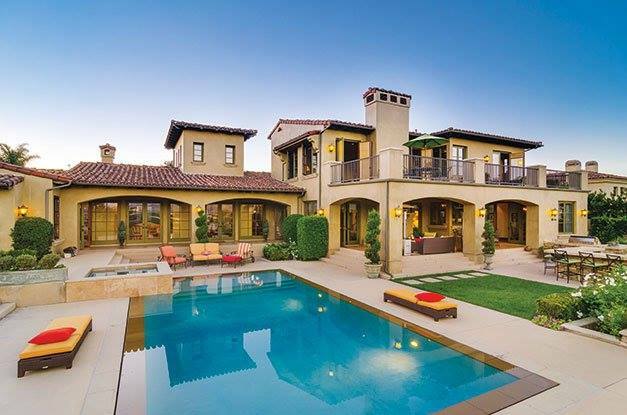 You can find high-end homes built in the hills surrounding Mesa, Scottsdale and the Tucson area. Horse property homes are available on the east and west sides of town. Custom homes, semi-custom homes, winter homes, active adult communities for 55 years and older and young family communities are also good choices for home buyers looking in Arizona. Is it cheaper to own a house or rent? In many parts of Arizona, the money needed to pay the mortgage is often much less than renting. The low mortgage interest rates and still-affordable home prices make mortgage payments a better deal. The rental market has also remained strong. The demand for rental homes by people who are not qualified to buy a home — or are simply not ready — has continued to push rental prices upward. What’s the future of home prices in Arizona? We are seeing much stronger upward movement in pending listing counts and under contract counts than existed last month or last year. We therefore expect good demand during the spring selling season and no significant downward pressure on pricing unless a substantial amount of new supply is introduced. At the moment, supply numbers remain weaker than last year, so we could see prices increase over the next three months. Almost every year, we see a little price weakness during the summer followed by renewed strength during the last four months of the year. One recent Sunday afternoon, a married couple came to an open house I was hosting in Chandler. They were looking for a new house because they were not happy with their current home in Gilbert – which they had only purchased three months earlier. It sounds funny, but why would you do business with the same Realtor who just found you a house you didn’t like? Obviously, the couple that visited my open house didn’t want to deal with a Realtor. They just came to look at the house. This sentiment is accurate. I know many buyers think that way. This statement is however, FALSE, because you find a great house the majority of the time through the efforts of a great Realtor who understands your needs. Unfortunately, Realtors in general have been a target of negative public opinion, owing to part-time Realtors who are not properly trained or who are unprofessional “discount” Realtors providing below-average service. Every Realtor is different depending on level of expertise, knowledge, communication style, professionalism, work ethics, etc. Yes, there are lazy and unmotivated Realtors too, and also those who overpromise to get your business but never deliver. In reality, there are many Realtors who are well-trained, knowledgeable and educated, committed to looking after the best interests of their clients. These Realtors exist and are dedicated to finding you a home that you like – if you stay committed to them. After all, having more than one Realtor is the same as having none. Professional Realtors don’t like working with buyers who don’t value their time and are not loyal. Great Realtors can get you the house you want just by listening to you. In some cases, you only need to look at a few houses to find the one house you like. Great Realtors can find you the one house you like regardless of the market and create an action plan to get you into your dream home. The market changes and as a buyer you should know how to adapt to these changes if you want to buy a house soon. Without a great Realtor, you will be looking longer and end up wasting more time and money. Great Realtors simplify the buying process and move the transaction to closing. Had the couple at my recent open house decided to take some time to talk with me, they may have learned some important things about the market and homes for sale that would help them in their new home buying journey. Arizona Real Estate is Heating Up! The Arizona real estate market is really heating up. Real estate publication The Cromford Report shows an increase 30.5 percent in pending or under contract homes in February 2015, compared to January 2015. The increase is due to the strong demand from buyers waiting to get in on the market following the holidays. New listings remained slow to come by. If the increased demand continues and supply of homes remains low, prices will continue to rise. Monthly Average Sales Price Per Square Foot was up 4.2 percent this year compared to last year, at $130.87 versus $125.54. The largest increase in sales over the last year is found in the $100,000 to $224,999. This is clearly prime first-time home buyer territory. There is also improvement up to the $799,999 price range. In the case of high-end market homes above $1,000,000, there is far more supply than demand. Arizona continues to attract local, out-of-state and international buyers from Canada and China due to its robust infrastructure, diversity and business and employment opportunities. Metro Phoenix was also named by Realtor Magazine as among the top 10 growing real estate markets for 2015 – a prediction that is fast becoming a reality.